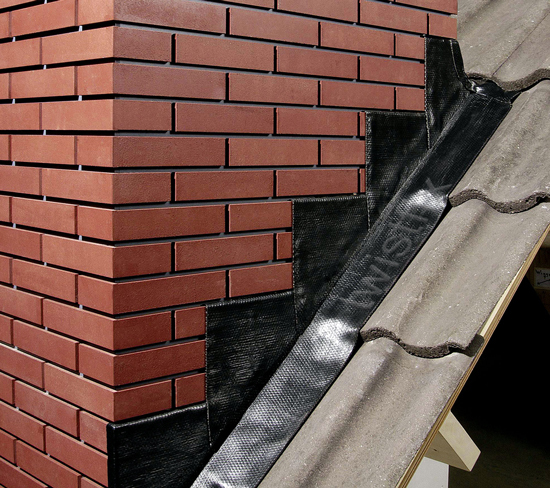 Although traditional lead flashing is effective for applications including bay tops, cavity trays and valley gutters, it has several drawbacks. The major problem is that lead is extremely valuable and is therefore a target for scrap metal thieves while another complaint is that it is heavy, cumbersome and difficult to install. Lead can also be toxic to humans. 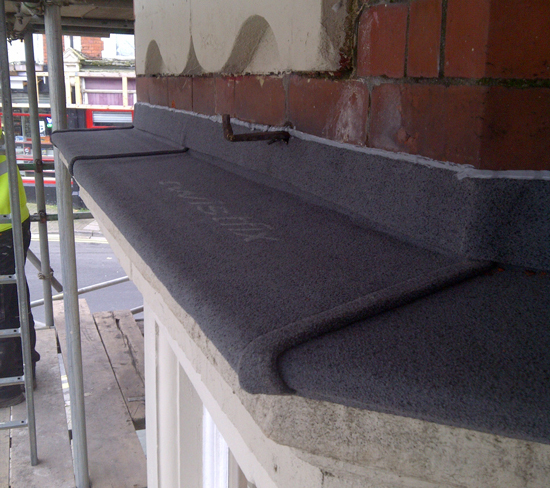 Twistfix are proud to provide Ubiflex, a new and superior alternative to lead flashing. Formed from an innovative, corrosion-resistant modified compound including an aluminium-mesh reinforcement system at its core, Ubiflex is a non-toxic waterproofing solution and is also recyclable, adding to its environmental benefits. The material is easily malleable, can be quickly cut and has a unique strength-to-weight ratio permitting seamless runs of up to 12 metres; fully 80% lighter than lead, Ubiflex is easily and safely worked in any direction. Ubiflex lead-free flashing has been extensively tested to ensure strength, resilience and durability. Subjected to continuously high levels of UV radiation, water, elevated temperature and combinations of all three, Ubiflex has consistently proved itself to be a heavy-duty material. A textured surface means Ubiflex is highly resistant to staining and BRE wind-tunnel tests show it can easily resist wind speeds of up to 110mph without failing. Once installed, Ubiflex requires little or no maintenance. Scrap metal prices continue to be high and so thieves often target properties where lead flashing has been used as a waterproofing method. Ubiflex, with its 100% lead-free formulation, has zero value as scrap metal and so provides a perfect solution to the structural and financial problems that can potentially be caused by scrap metal thieves. 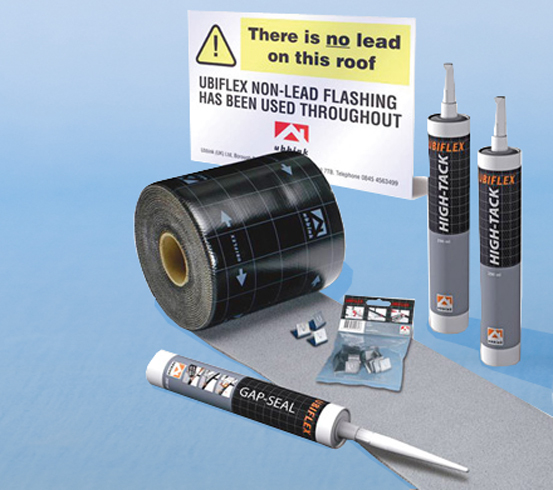 Ubiflex is available as separate rolls or as part of a comprehensive kit which includes high-tack adhesive, gap sealant and flashing clips. The material can be supplied in a variety of widths and is available in grey or black. Twistfix are expert providers of a range of construction and renovation materials including cavity ties, crack stitching solutions, gutter guards, dpc injection fluid and basement tanking systems. Ubiflex proudly joins this extensive range.